In Judges 4, we meet our first and only female judge written in the Bible. 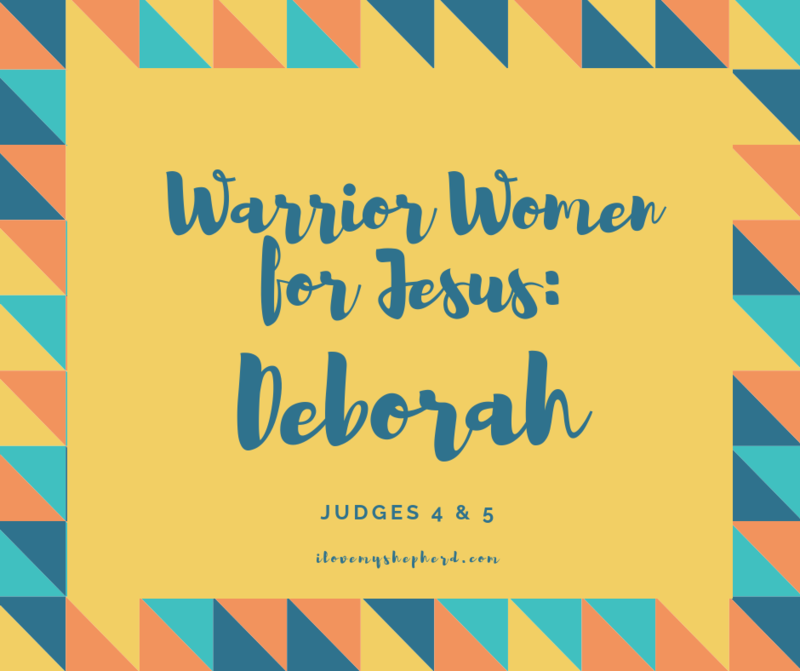 Deborah was both a judge of Israel and a prophetess. The Bible tells us Deborah sat under a palm tree to judge and answer questions among the people. When you have a question, what physical places can you go to that feel safe and helpful? What people in your life has God given you to help answer your questions? People in Israel had lots of questions too. They had questions and quarrels about their daily lives: maybe who owned what sheep and who owed what money to someone else. We have these same kinds of questions about what is fair and what is not, and God puts leaders in our life, like parents, teachers, policemen, and judges, to help us figure out those questions. 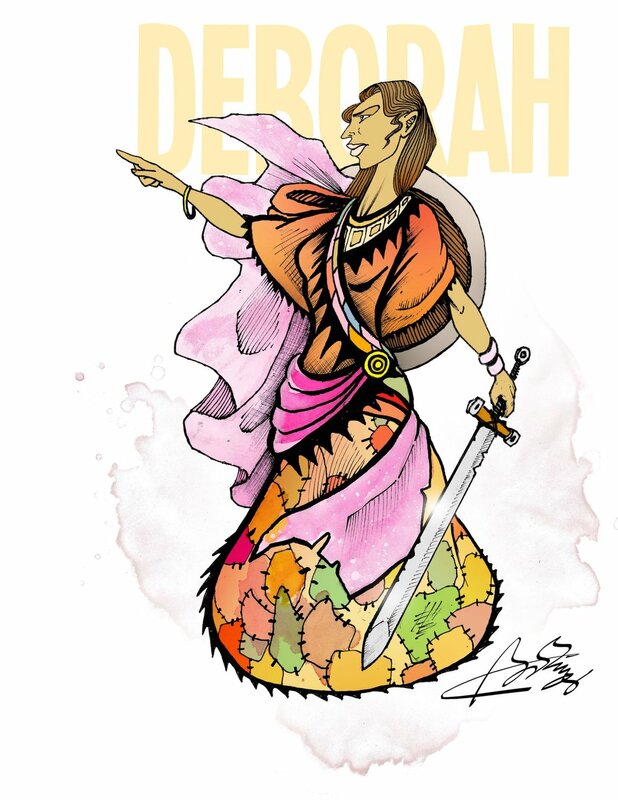 The Bible tells us Deborah had another gift though as well: she was a prophetess. This means she could speak and apply the Word of God when and where it was needed. The Bible isn’t always easy to understand. God isn’t always easy to understand, so He puts people in our lives to answer our questions about Jesus things and Bible things also. Deborah combined these two gifts, which made her a warrior. She might have also been physically strong from exercise and building her muscles for battle. She might have eaten good foods to help her fight strong and hard. She might have been smart and witty. We don’t really know. Deborah had a friend and fellow leader: Barak. He wouldn’t go to battle without her! When Deborah agrees to lead the fight against the Canaanites alongside of Barak, God guides and helps them to win the battle in His name. There is one really powerful bad guy who escapes, however. His name is Sisera. God provides another warrior woman: Jael. Jael was clever, and she is called blessed by God. Sounds like she had wisdom and the Word on her side too. She tricks the bad guy, Sisera, and finishes the job, killing him swiftly. These women weren’t afraid of getting dirty and they believed God was capable of doing powerful things through His people, so they walked into the situations He asked them to walk into. Would you like to be courageous, strong, brave? Would you like to be a Warrior for Jesus? Deborah sings a beautiful song to praise God for leading her and all her fellow warriors into battle and for keeping them safe and protected. Thank you for reading the Word and growing in wisdom with me today, fellow warrior. May your muscles be strong and your heart wise and full of the Word. Thank you, Lord for making me Your warrior through Your wisdom and Your Word. I am here to serve You and grow and learn in You. Keep me courageous, protected by You, in this world. In Jesus’ name, Amen.